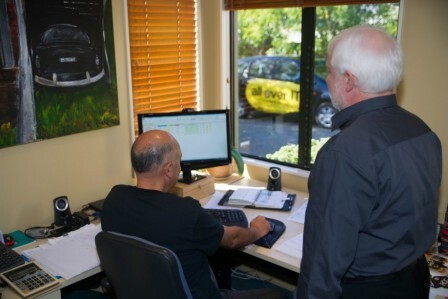 We cover the greater Wellington area, Hutt Valley and Kapiti Coast up to Levin, and all our technicians are mobile. Computer repair, service and replacement availiable both onsite and offsite. We are a modern, mobile IT services company delivering quality assistance for your computer problems or network and Internet issues. We work on all Windows and Apple Mac devices including tablets as well as smartphones, internet TV's and even game consoles. We cover just about anything IT related including wireless networks, hardware and software; we sell new equipment and repair or upgrade existing systems. Information Technology (IT) is a necessity in the modern world and our goal is to provide affordable IT services to anyone who needs them, especially if they are needed quickly! Our customers are home users and small businesses. We help an increasing number of home based businesses and people who rely on their Internet connections, computers and other technologies for work and personal use. Empowering our customers to use Information Technology in ways that work for them is what we are all about. It's not our style to tell you what we think you need to know. We will listen to you and do our best to advise you based on our knowledge and experience. We often find that a systematic approach reviewing all your issues will result in a much better solution than an isolated fix.